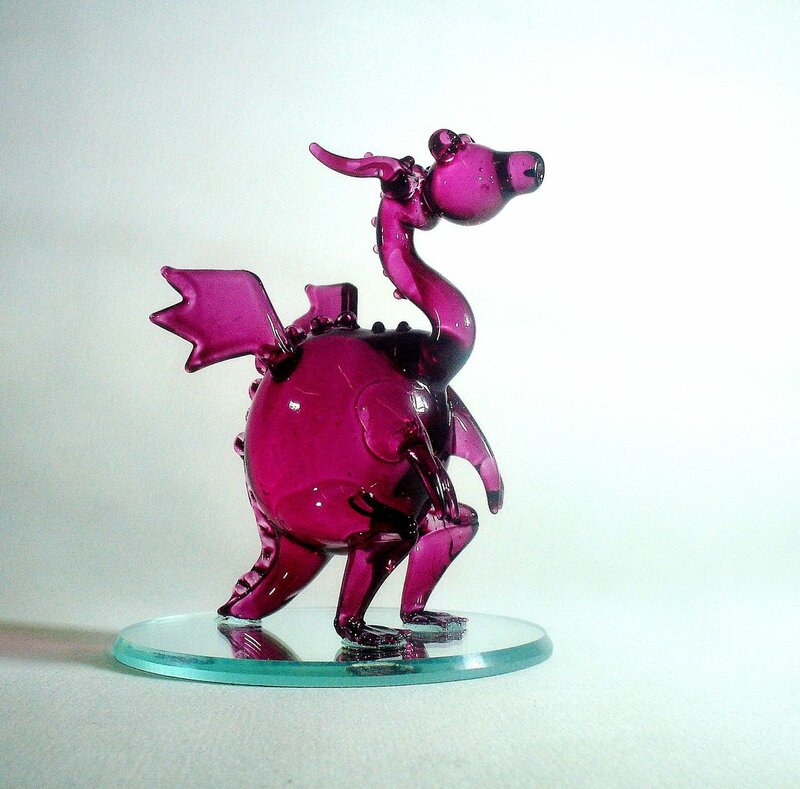 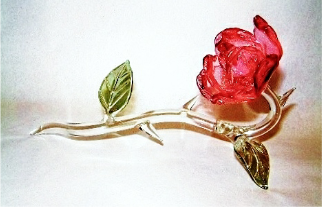 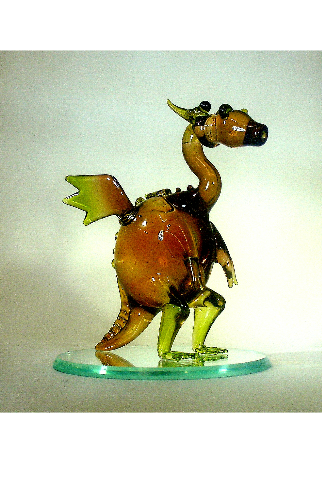 A baby dragon with big dreams, hand worked at the Glassblobbery! 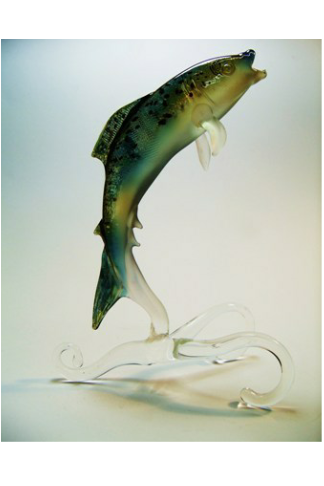 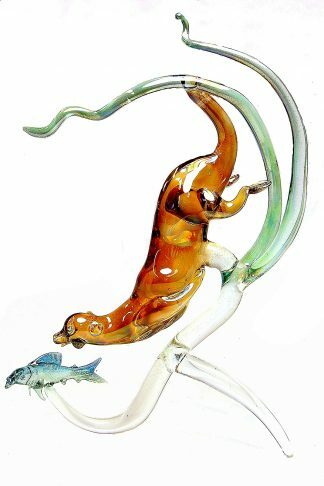 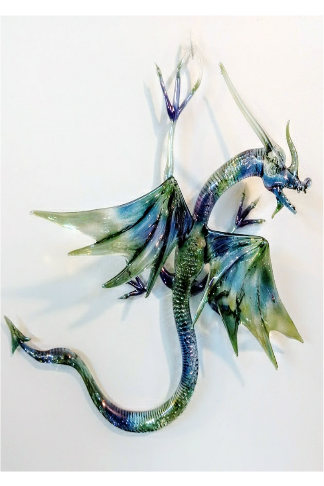 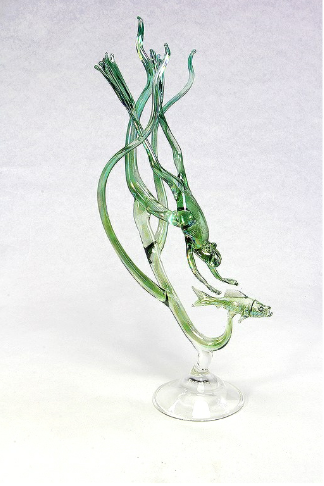 This is a freshly hatched baby glass dragon, with dreams of becoming a huge wall hanging monster! Just make sure it crosses the road safely or else it could become a flatty dragon! 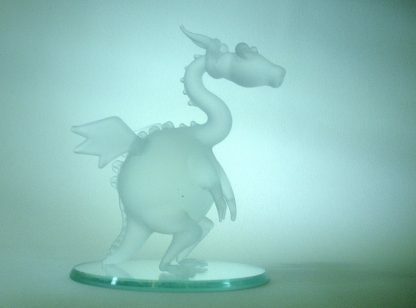 He measures 9.5 x 8 x 5.5 cm (3.75 x 3 x 2.2 inches) and is in need of a good home.